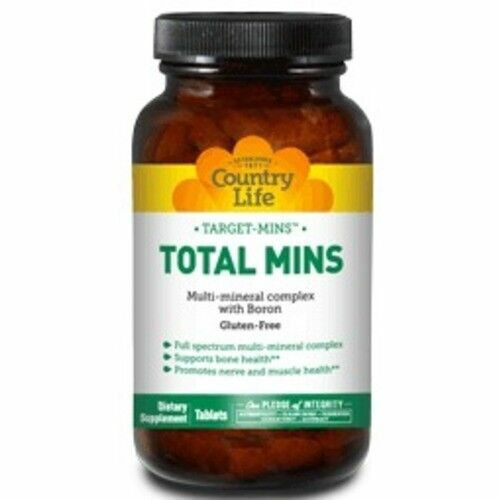 Promotes nerve and muscle health** A complete multi-mineral complex that contains 11 essential minerals in two convenient tablets. Take alone or as a complement to your supplement regimen. Adequate calcium as part of a healthful diet, along with exercise, may reduce the risk of osteoporosis later in life. Suggested Use As a dietary supplement Adults take two 2 tablets daily. For best utilization, take with food. Do not exceed recommended dose. - Or as directed by your healthcare professional. Other Ingredients Cellulose, stearic acid, cellulose & glycerin coating.